After purchasing your ride tickets (which are put on a play card) you enter this queue to wait for your turn to board. After loading, your cart gently moves forward to the starting position where the track automatically releases your cart onto the track once the correct amount of distance has been passed by the cart ahead of you. Right out of the station you enter this helix which gradually accelerates your cart. Once you get out of the helix, your cart really takes off. You're really booking when you hit this point going down the hill. It is shortly after this point that your onride photo is taken. Brakes are automatically applied to bring you to a stop before heading up the first lift. This lift hill is only the mid-point of your ride. You get a good view of the track of the first part of the ride as you ride up. The first part of the ride is really curvy and a lot of fun. The second portion of the ride is all about speed. You really go fast through the second part of the ride. Before you know it, you're already at the bottom of the hill. Heading up the second lift. 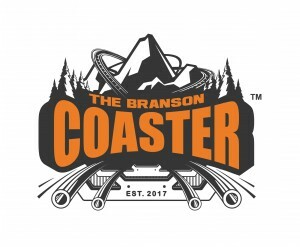 I honestly think this is one of the best mountain coasters I have ridden. The rest of my party coming back into the station. You disembark your cart just around this corner and exit through the gift shop. This is a great ride and I imagine we'll definitely be back. Make sure you take advantage of their pricing options. Your first trip is full price but any additional rides during that same day are half price. Also, they have a punch card where you buy 5 rides and get the 6th free (and yes you can share the card).